Since I was a kid, Ma-Me-O Beach has been my favourite place to vacay over the summer. The quiet strip of cabins and beautiful beach easily makes this place my summer haven. 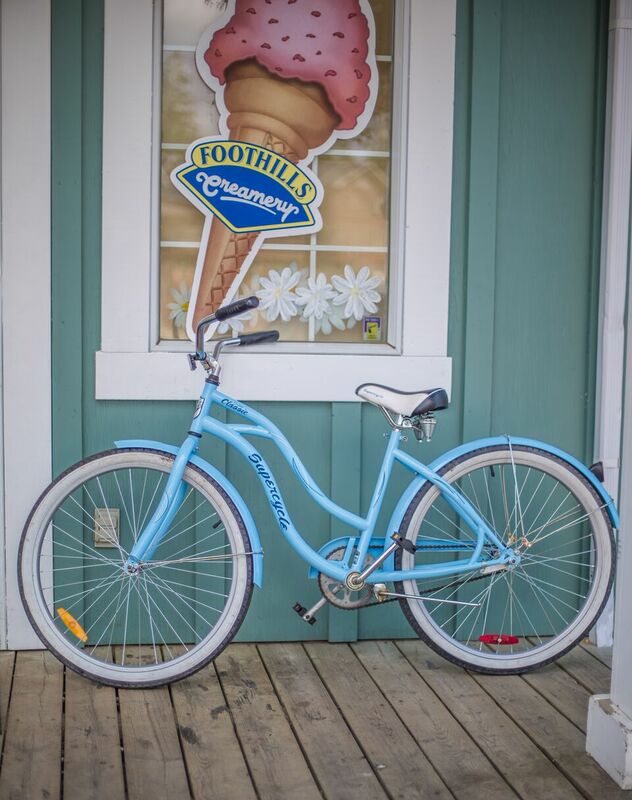 The Village, which is only minutes away from the beach is the perfect spot for a bike ride- surrounded by cafe’s, an ice cream shop and a lux spa (filled with my favourite Eminence Skin Care line), as well as a great hotel if you’re coming from out of town. There is also a new bike rental shop which makes it easy for anyone to take a tour through the Ma-Me-O and Village neighbourhoods. Take a tour of this quaint, lake town on your next Alberta weekend get away!